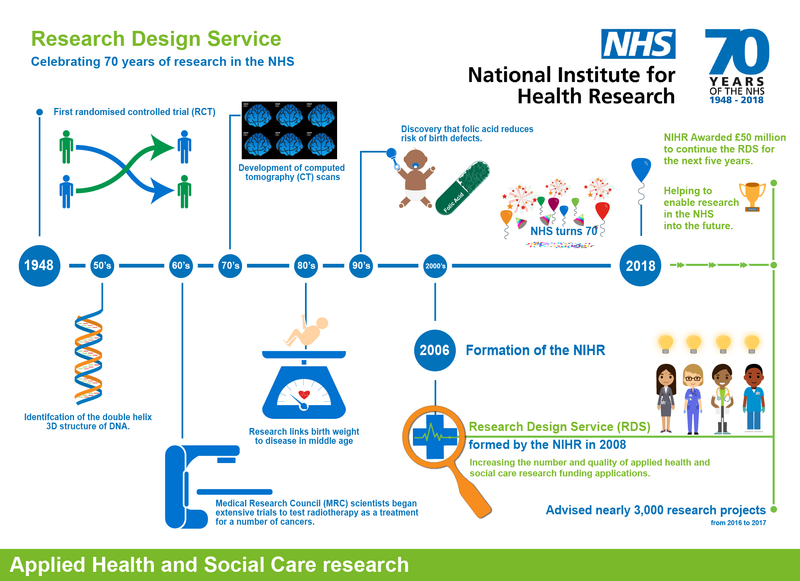 We’re celebrating 70 years of research in the NHS. We can help you develop your applied health and/or social care research #IAmResearch #startwithus #NHS70. Watch the video. If you have a research idea why not request advice from the RDS NW here.